By combining express grinding with a cafetière in a slow coffee grinder, Peugeot has put itself firmly behind the trend for gentle extraction methods, offering coffee lovers smooth and very aromatic flavours. 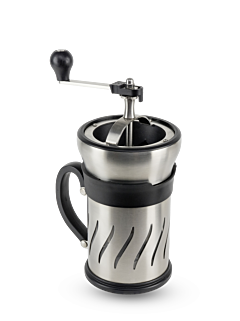 Making freshly ground coffee in a slow coffee grinder, using high-quality beans with subtle and incomparable aromas requires patience. Gentle extraction methods, designed like coffee infusions, are firmly anchored among the essential coffee preparation methods. Like a manifesto for the art of living, they encourage everyone to take their time, to savour the moment, so that each second is unique and serene. 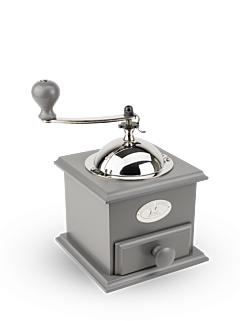 The slow coffee grinder is original and combines the famed Peugeot ingenuity and aesthetics with the best research for a milder and more aromatic coffee. It is both modern and elegant, and features a two-in-one design enabling everyone to enjoy the incomparable flavour of freshly ground coffee, every day. A slow coffee grinder specifically dedicated to those who want to rediscover the meaning of time and those moments in the day, each one a special little experience.